Krakow, Poland is an easy, budget-friendly city to visit. 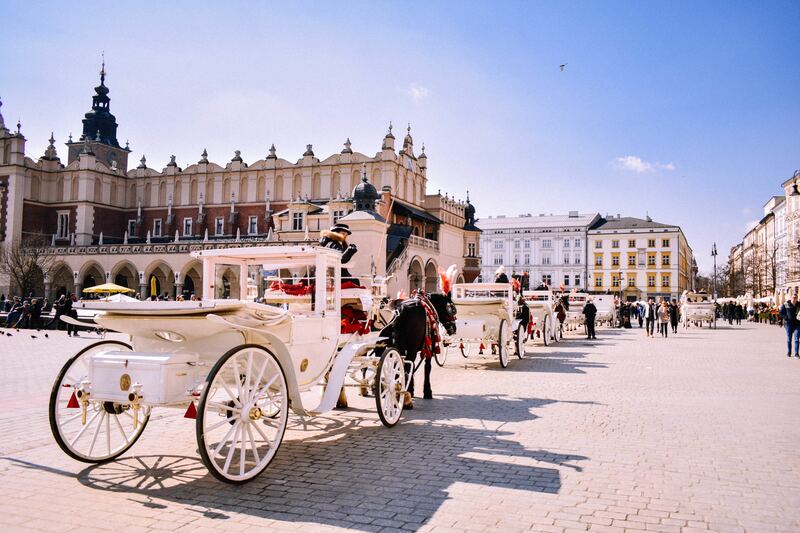 There are plenty of things you must do in Krakow, good public transport and excellent value for money. Whether you are going to spend a week or 2 days in Krakow, this Guide will help you find out what to see and the best things to do in Krakow, Poland. You can also find the places to visit and discover the top things to do in Krakow in this ultimate Krakow guide. Krakow was our first stop in a four-week journey through Europe. After spending a week in Krakow, we were pleasantly surprised by what a great city Krakow is to visit. To be honest, Krakow had never been near the top of my list for a vacation but our group of 16 descended on Krakow – and had a ball. To be honest, before visiting Krakow I had a very limited understanding of the City, Poland, its history and its peoples. I am glad we visited this beautiful city – and that through this visit I was able to get a better understanding of its history, its people and its vibrancy as a modern Polish city. Most of our group travelled all the way from New Zealand, and Krakow City was a gentle way to start our vacation – yet there were still plenty of things to do in Krakow. We were a large group which spanned the breadth of the spectrum of beautiful browness – so we did stick out quite a bit. Nevertheless, we enjoyed our time in Krakow and definitely recommend it is a destination. Krakow is Poland’s second largest city and the country’s main tourist destination. The city is located in southern Poland on both banks of Wisla (Vistula) river. The local Krakow currency is the Polish złoty. Our general pattern is to get cash out from an ATM when we arrive in a new country. We discovered that several machines wouldn’t take our cards, and several had low withdrawal limits. We did have a panicked moment when our accommodation requested we pay in cash (!) and we couldn’t find a machine that would take our cards. Eventually, we managed to sort it, but a word of warning it can be stressful! Getting around Krakow is fairly straightforward. There is plenty of public transport with an integrated Krakow Tram and Bus system. Tickets are timed and you can switch between trams and buses. You can purchase short time periods (20 minutes for 2.80zł (£0.58/$0.80 USD) right up to an unlimited weekend family passes for 16.00zł. The Krakow Tourist Card is another option which includes bus and tram travel, along with access to museums and other Krakow attractions. Uber is also available in Krakow. There are good transport links to the airport too. Krakow prices are very good in comparison to other large European cities like London or Paris. A 0.5litre domestic beer will probably set you back around 7zł/£1.50/$2USD, while a three-course meal for two people at a mid-range restaurant will cost around 100zł/£20/$30USD. The main market square is the heart of Krakow city. Dating back to the 13th century, it is surrounded by restaurants and shops and has a vibrant atmosphere. At its centre is the Town Cloth Hall, which is worth a visit if you want to pick up some local souvenirs. The Krakow Tourist Information Centre is also located on the outside of the Town Cloth Hall, you will be able to pick up tickets to Krakow museums, and other Krakow activities. Day tours to both Auschwitz and Birkenau depart daily through multiple companies which are easily found located in the Main Market Square. Visiting these sites will give you a better understanding and appreciation of the awful history of the Nazi occupation in Poland. These can be confronting experiences but give a respectful and insightful view into the atrocities that occurred there. You can book a tour here. Wawel Castle is located within walking distance of the town centre. It is a UNESCO World Heritage Site, and people have been living on the site of the castle for fifty thousand years. It dominates the City skyline and gives a great insight into local history, and the history of Poland. Check out tour prices and information here. Wawel Cathedral is a Roman Catholic Church located near Wawel Castle. It is more than 900 years old and has traditionally served as coronation site of the Polish monarchs. Located in the Main Market Square this impressive basilica is imposing and hard to miss and is one of Krakow’s top attractions. It is incredibly beautiful inside, so well worth taking a look. It remains a place of worship so keep that in mind. A popular day trip, and one of the more popular Krakow attractions is to visit the nearby Wieliczka salt mine. It is worth setting aside time to visit the mine. You can get tickets here. Poland is the homeland of Vodka, so it would be rude not to partake in a sampling or two of the local fare. There are plenty of Vodka Tasting Tours, or you could do what we did and try a range at the Wodka or Pianola bars. There are plenty of very good Krakow museums to explore. We found the Schindlers Factory Museum to be a very good experience, and one of the good places to go in Krakow. Also, check out Rynek Underground Museum under the Cloth Hall in the Main Square. Check out prices for a museum tour and pass here. There are free walking Krakow tours, many leaving from the Main Square. These are a great way to get your bearings, find out information from a local and figure out what you may wish to revisit and spend more time at. To be honest, one of the main ways we experience new destinations is to eat some local food. And, we were really pleasantly surprised about how much eating in Krakow is a delight. So, from our perspective, there are plenty of very yummy food experiences in Krakow – and most are reasonably priced. Winter is a great time to experience some Polish delicacies like Pierogi (dumplings – sweet or savoury), borscht (amazingly bright red beetroot soup) and zapiekanka (bread with loads of toppings – cheese, meat, sauce…), and Golonka (glazed ham hock). It would also be very rude to not try local vodka (see vodka tour above)! Ed Red Steakhouse – don’t let the name fool you, Ed Red is a contemporary take on meat, and serves dry-matured steaks from their own meat maturing cabinet. The food is delicious and the service was friendly and informative. The menu is meat heavy, but there were enough less meaty options for me which was great. They had an extensive wine and beer list, which we took great advantage of! A three-course meal for four, plus booze, cost us £120/$170 USD. Ogniem i Mieczem – this restaurant was a lovely surprise. It is a banquet type restaurant and is a great way to sample different types of Polish food. Once again the menu is meat heavy, but very delicious. The portions are very large – even our 19-year-old with a large appetite was bested – so expect there to be leftovers! We went here for our Christmas Eve dinner and it was a really lovely meal and occasion. This restaurant is not located in the town centre – so you will probably need to catch a cab or uber to get there. Hamsa – We discovered Hamsa by accident as we were wandering around the Jewish quarter. Hamsa is an Israeli hummus restaurant. They have a great range of hummus and meze and delicious house-made soda. We had a very yummy meze platter. I found Hamsa a nice reprieve from the meat-heavy menus we had been eating from. Well worth visiting. Przypiecek 24h – we stumbled upon this small restaurant as dusk fell on our first afternoon in Krakow. We hadn’t quite worked up the confidence to have a full ‘Polish restaurant in Krakow experience’, and discovered delicious Pierogi and borscht. Delicious. I have to say I developed a real soft spot (literally) for the potato and cheese pierogi. My goodness! This unassuming Pierogi place is a couple of minutes walk from the Market Square and well worth a visit. If you are looking for things to do in Krakow in December, a Krakow Christmas is the way to go. The famous Krakow Christmas Market is located in the Krakow Market Square and is one of the best things to do in Krakow. The Christmas market is open for the whole of the Christmas season in Krakow and it’s a wonderful place to try some delicious Polish food and drink, and pick up a Christmas gift or two. Krakow seems to be the perfect setting for Christmas. Most stores and restaurants in Krakow will close from mid-afternoon on Christmas Eve for a couple of days, which is the main day of celebration and for spending time with family and friends. The Christmas market on Christmas Eve and Christmas Day was still operating, although there were several stalls closed over this time. There are so many Polish delicacies to eat in the Christmas Market – and Christmas is definitely a time to indulge. Plus you will need something warm to keep the cold at bay. We loved the Ocsypek (smoked sheep cheese heated over hot coals, sometimes wrapped in bacon), Gluwein (hot spiced wine), Piernik gingerbread, barbecued meats (and potatoes), decadent chocolate dipped fresh fruits and hot chocolate (topped with mountains of cream). If you are in the Market it is hard to miss the horse-drawn carriages circling the square and Old Town. There is something extra magical about being bundled up in a carriage, with your hot chocolate or gluwein, and making your way around the square. Attending the Christmas Eve Service at St Mary’s in the Krakow Market Square is one of those unmissable Krakow activities. It is a very special event. St Mary’s is also very busy throughout the Christmas period and is also a great place to wander around. The faces on the main doors are amazing! Even if you are not visiting at Christmas, St Mary’s is definitely one of the Krakow places to visit. Walk around the Old Town to see the Christmas lights, and see the shops dressed in their Christmas best. You may even be accompanied by horse-drawn carriages taking their passengers around the old town. There are many options for where to stay in Krakow that will enable you to be close to most of the places to see in Krakow. As with most big cities, there are plenty of Krakow hotels and Airbnb. Krakow accommodation is very good value and you will be able to get great quality at a fraction of the price you would expect to pay in other European cities. You are spoiled for choice with good Krakow hotels located close to the main places to see in Krakow. We think the Hotel Unicus Palace is the best place to stay in Krakow. Located in the heart of Krakow Old Town, this beautiful hotel has large rooms which are gorgeous and luxurious. The hotel also has a terrace, hot tub and spa. It also offers a offers a range of wellness facilities including a hammam and an indoor pool. Check here for more information and the latest rates. Hotel Polski Pod Białym Orłem is centrally located opposite Florian’s Gate, a short 3-minute walk to the Market Square. A hotel with older style decor with very large rooms. Click here to see more information. Apartament na Kazimierzu is a great budget option located in the heart of Krakow. Huge rooms, kitchen facilities and loads of natural light. Find the best prices here. Airbnb is another great option in Krakow. If you are travelling over Christmas when many restaurants and supermarkets are closed, and Airbnb may a good option for self-catering. 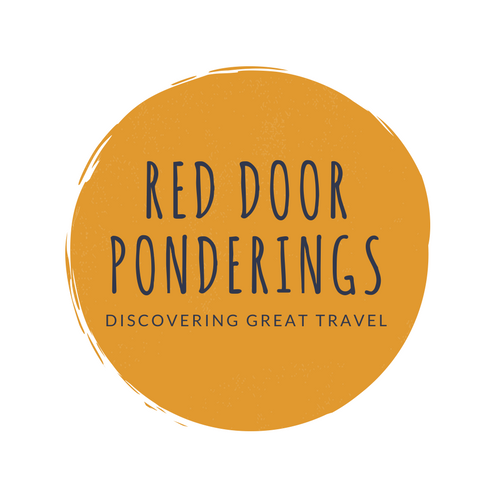 There are many gorgeous Airbnb’s available at reasonable prices, close to all the action in Krakow. If you haven’t tried Airbnb yet, click here to get a discount on your first stay. Overall, Krakow is a great place to visit. If you liked this post, please share it and pin it! We LOVED Hamsa too when we visited Krakow – totally agree it was somewhere never previously on our radar but we had such a good time! Such a comprehensive guide with beautiful pics, makes me want to go back so much! Glad to hear you had a great time in Krakow too. I’ve heard from many people that Krakow is one of their favorite cities! I’ve seen pics and it definitely looks like somewhere I want to see!